Anti-LGBTQ-equality activist Brian Brown at December 2016 press conference launching the International Organization for the Family. 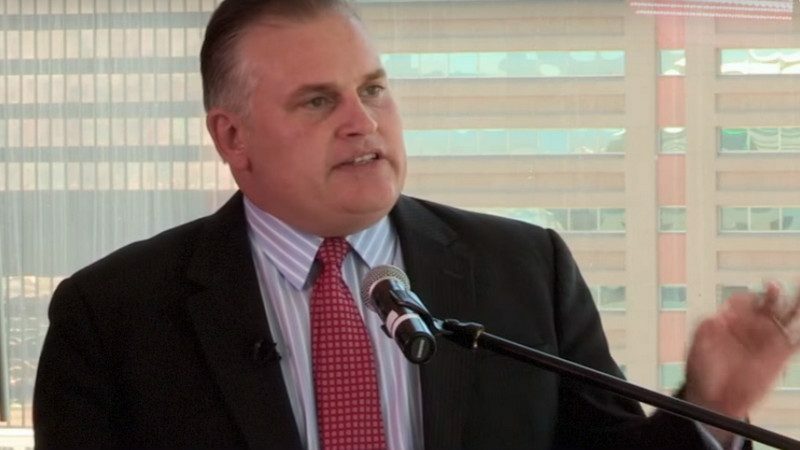 Anti-LGBTQ activist and global culture warrior Brian Brown joined the chorus of Religious Right leaders responding with outrage to mayor and presidential candidate Pete Buttigieg’s criticism of Vice President Mike Pence’s record on LGBTQ equality. Brown vowed to get marriage back before the U.S. Supreme Court so that Trump-nominated Justices Neil Gorsuch and Brett Kavanaugh can, with the Court’s other conservatives, reverse the Court’s 2015 marriage equality ruling. And, without any apparent self-awareness of his glaring inconsistency, Brown accused Buttigieg of wanting to use “the force of law to impose his views on every American, especially those who disagree with him.” Which, of course, is exactly what Brown is trying to with his efforts to get rid of marriage equality. Brown also accuses Buttigieg, who is a Christian, of being “ignorant” of what the Bible teaches about marriage and “openly hostile to the US constitution’s guarantee of religious liberty”—because Buttigieg does not support Religious Right-backed efforts to create broad religious exemptions to nondiscrimination laws. Laughably, Brown says that opponents of marriage equality “are not out campaigning against gays and lesbians for ‘who they are’” and that his cause is “not condemning homosexuals, it’s upholding marriage.” As Right Wing Watch readers know, the Religious Right is full of people “campaigning against gays and lesbians” who would deny them legal equality in the U.S. and around the world. Brown and his allies at the World Congress of Families have stood side by side with—and lavished praise on—authoritarian leaders who restrict the lives and freedom of LGBT people, and have supported laws that impose long criminal sentences for consensual homosexual conduct.